Willamette University received a A.
Washington Monthly's ranking of 46 out of 224 of Affordable Elite Colleges - Overall Rank was a major contributor to this grade. "Students here call Methodist-affiliated Willamette University "overall, the best small liberal arts school in the Northwest." They say "the education is great, the professors are wonderful, and the classes are small enough to allow for a lot of individual attention." On campus you'll find "lovely squirrels and meandering ducks" and, if that gets old, "Portland is only forty-five minutes away." Describe the type of student who should not attend Willamette University and explain why. Someone who doesn't want to learn, has a specific career in mind and is unwilling to keep an open mind. Anyone who has a closed mind will have a hard time here because at Willamette we consider all possibilities. Describe the type of student who should attend Willamette University. Why? Someone who is passionate about learning and wishes to make a difference by learning through experience. What is a typical Willamette University student like? Describe the type of person that should attend Willamette University. What are the top 3 reasons someone should attend Willamette University? Great connections in the political system because the University is across the street from the Capitol Building in Oregon, great economics program and small, personal campus experience. What was a typical Willamette University student like in high school? Describe the type of person that should attend Willamette University. Students find a more personal atmosphere than larger universities nearby and appreciates the low-key yet challenging milieu. Class sizes are generally small and this allows professors and students to get to know each other. Recommendations and essays are all helpful but, more than likely, your grades will determine your fate. Our beautiful, historic campus, located across the street from the Oregon Capitol, features a residential undergraduate College of Liberal Arts and three professional graduate schools: the College of Law, Atkinson Graduate School of Management and the Graduate School of Education. What are the top 3 things that students do for fun at Willamette University? Campus housing is available for undergraduates and is mandatory for freshman. Housing deposit : $400.00. Housing deposit due : May 1. Housing deposit is not refunded if student does not enroll.. Freshman allowed to have car. No pets. 41% of students graduated in the top tenth of their class. The average student pays $31,622 for tuition, fees, and other expenses, after grants and scholarships. Total stated tuition is $41,990, in-state and on-campus, before financial aid. 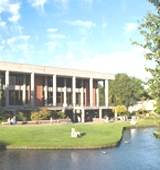 Learn more about financial aid at http://www.willamette.edu/dept/finaid/. Estimate the net price for you at http://secure.willamette.edu/finaid/. The typical (median) early career salary of Willamette University graduates is $38,500, according to Payscale. Willamette University participates in the NCAA Division III for college athletics. Want more info about Willamette University? Get free advice from education experts and Noodle community members. Does this school have music therapy? This site says it does, but it's not on the American Music Therapy Association list of schools that offer it.